Jojoba oil is used in both Enliven and Glow. One of my favorite oils. In fact, Jojoba oil is not technically an oil at all. It is actually a wax substance that is extracted from the beans on a jojoba shrub. One of the main reasons that I like Jojoba is because it resembles the sebum of skin which makes it very easy for your skin to absorb making it very effective for moisturizing. Watermelon seed oil is also known as Kalahari or Ootanga oil. It is extracted from the seed of the watermelon, sun dried, and then cold pressed. I feel as though I could write an entire love letter about watermelon seed oil. 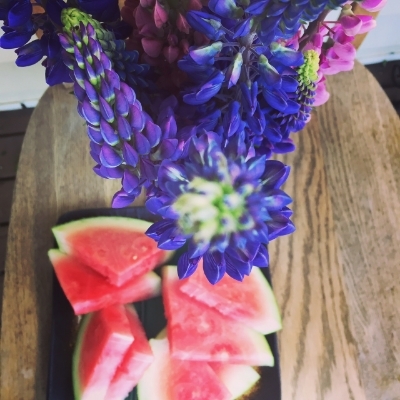 Watermelon is one of my all time favorite foods, but who knew the seeds contain so many nutrients that it would end up being one of my favorite skin care ingredients.